Omega Classic Commode is both reliable and durable. 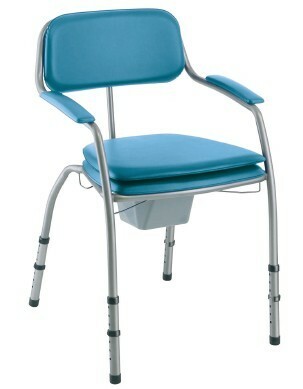 It has a corrosion-resistant design, which is enhanced by the welded tubes that make up the frame of the commode. As well as longevity, ergonomics are also considered in the commode's design, as the commode pan can be simply removed either from the side or from above, depending upon which is easiest. The Omega classic commode is a stylish modern looking commode. Its easy to clean and comfortable to use. Very happy with this commode I bought for my Mother, its good for the price and is very sturdy yet looks quite modern.